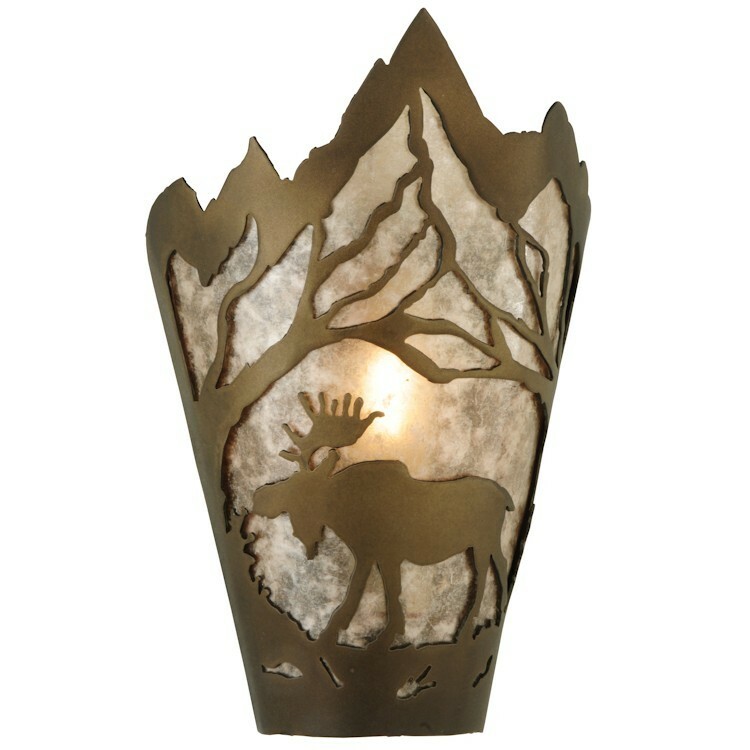 These nature inspired Moose Mountain Sconces depict a majestic Moose standing tall as he is cradled by two entangled trees in an enchanting forest. 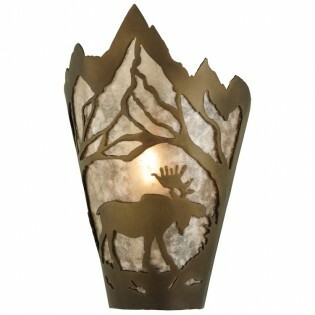 The Moose is portrayed in all its glory in this unique wall sconce design featuring serrated edges on top. Light is emitted through stunning Silver Mica, which is enhanced by accents and frame featured in an Antique Copper finish.